If you haven’t guessed by now, those of us who write for 225 Dine love food. 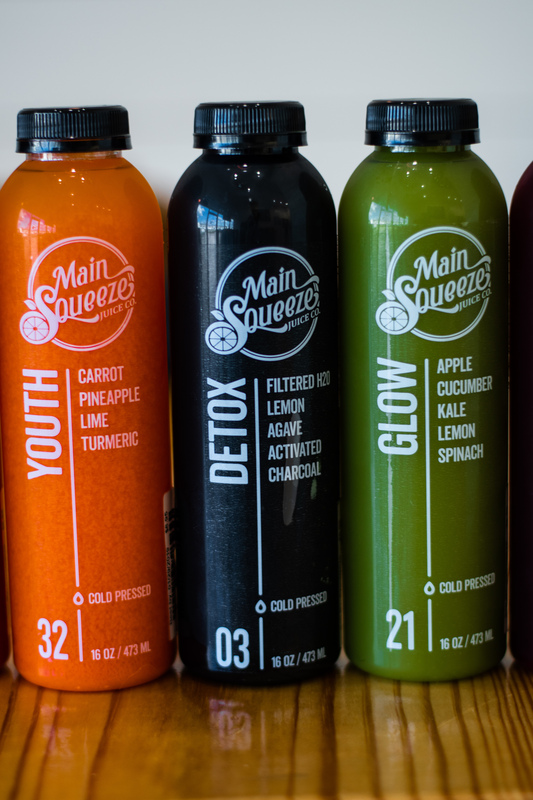 But during a visit to the new Main Squeeze Juice Company, I noticed its juice cleanses and wondered: Could I go a day without food? 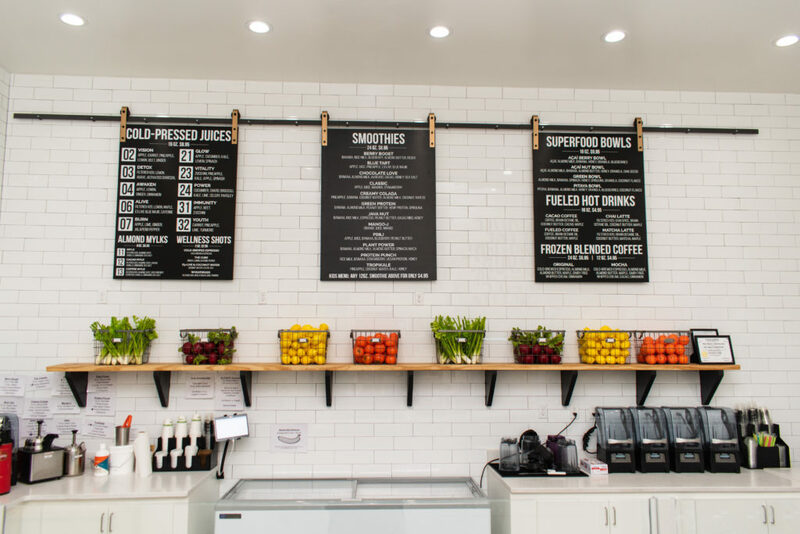 The juice, smoothie and wellness shop opened on Burbank Drive last November. 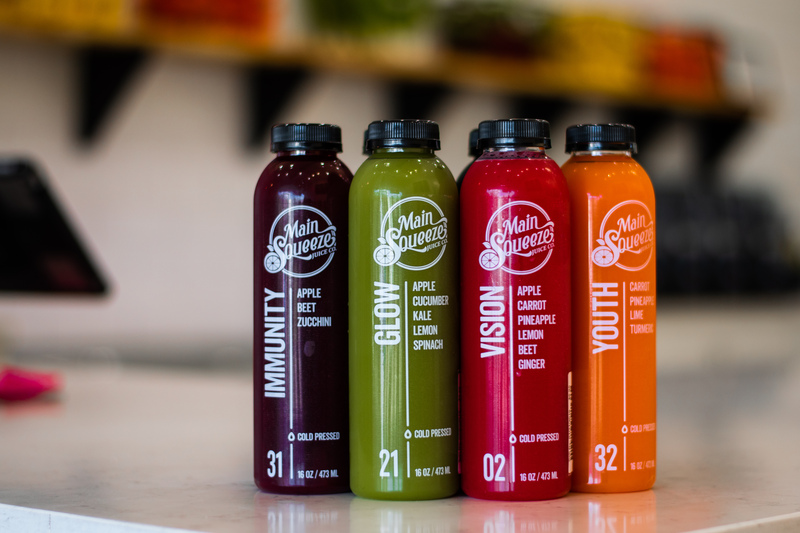 Among its traditional multiday juice cleanse options, it offers a 24-hour cleanse. That seemed just right for my comfort level, so I decided to satisfy my curiosity. 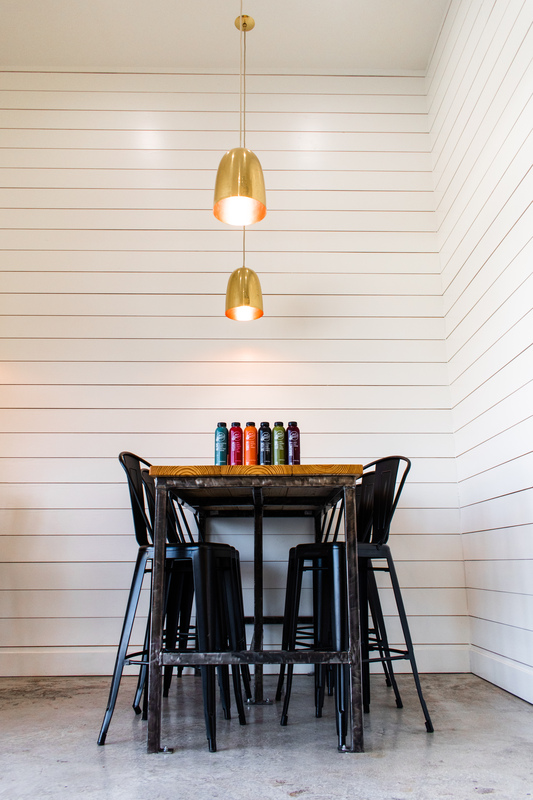 I explained to Main Squeeze’s Annie Edick that I was new to juice cleansing. She let me taste a few of the beverages and explained the benefits of each one. We custom-built a cleanse, and I pulled the trigger and purchased it. As I left the shop, I’ll admit I felt excited. Here’s how my whole experience went down. I woke up feeling ready to tackle the day. I brushed my teeth and went downstairs to make my morning cup of coffee—only to remember I could not, thanks to the cleanse. It was OK—my spirits were still high. I began with the Immunity juice, made with apples, beets and zucchini. Edick had told me it was an ideal juice to start the day because beets are high in “good” carbs and help your body feel full. The juice had a strong beet flavor, but I didn’t mind that at all and thought it was actually really good. By mid-morning, I was on to my second juice: Alive. Not going to lie, I was most nervous about this one. I was iffy about the lemon-maple-cayenne pepper combo already, but it was the juice’s live algae that really sent me over the edge. The ingredients are supposed to be very cleansing, though, so I put on a brave face and powered through. It really ended up tasting like sweet lemonade with a huge kick of cayenne, although it did take me significantly longer to drink than the first juice. As I opened my third juice, Glow, I enviously watched my coworkers leaving for lunch. I imagined all the lunch options I would have if I weren’t juicing—torture. Luckily, this juice was made of apple, cucumber, kale, lemon and spinach, and it tasted much better than the Alive juice. It was pretty filling, too. Next up was Vision, with apple, carrot, pineapple, lemon, beet and ginger. Edick referred to it as one of my “fun juices.” (When all you are consuming in a day is juice, though, can any juice really be considered fun? These were the thoughts running through my mind.) As it turned out, this was by far my favorite juice. I was worried I’d be feeling way too hungry by late afternoon, but I felt quite full—to the point where I was unsure how much more juice my body could handle. As the sun went down, my friends made plans to get dinner, go to the gym together or grab some late-night froyo. I longed for solid food but instead was left alone with my thoughts and a black juice. This one was called Detox, by the way, and it was made with water, lemon, agave and activated charcoal. The detoxifying charcoal made the juice look scary, but it didn’t affect the drink’s lemonade-like flavor. My final juice of the day was Youth, with carrot, coconut water, lime and turmeric. It was another one of my “fun” juices, but I struggled to muster up the excitement to crack it open. The sound of the cap’s seal breaking only made me long for the next morning. The juice was tasty, but full disclosure: I cheated a bit at this point in the night. 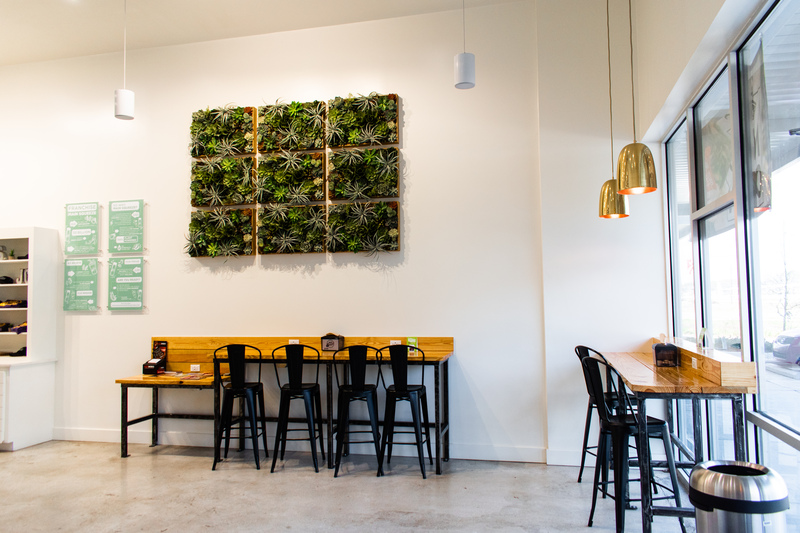 It started out innocent enough: I headed over to MJ’s Café and ordered a large salad so I would be prepared for lunch the next day. Edick had recommended eating a plant-based meal the day after my cleanse, so this was important. But at some point during the salad’s journey from MJ’s to my fridge, I snuck a few bites. Boy, was it a welcome treat. I literally never in my life would’ve imagined I’d consider salad a late-night indulgence, but here we are. Anyway, if “cheating” means I ate a couple bites of a salad, then I think I’ll manage to live with the guilt. I’ll admit I can be melodramatic, but a 24-hour juice cleanse is definitely trying. There were times when the temptation to quit and head to Fat Cow were strong. The most challenging part of the day for me was definitely dinner time. Judging by Main Squeeze’s juice cleanse plans, others feel the same: The shop offers a “Juice ‘Til Dinner” plan for one or five days. This package encourages juicing all day and then eating a plant-based meal for dinner. This seems like the most realistic option for me—I could see myself doing this monthly or even weekly. By the end of my cleanse, I was so glad I completed it. I felt lighter and, frankly, really good. I was motivated to eat healthier to keep my body full of good energy. And as I write this nearly a week later, I’m sipping on a Java Nut smoothie and have an Immunity Juice in my fridge for later. I’m still eating a big non-juice dinner tonight, though. It’s all about balance, right?